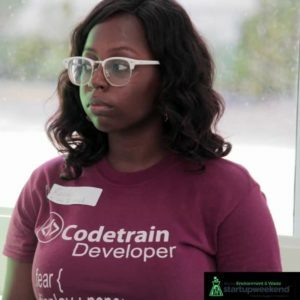 Rachel Anane-Antwi joined Codetrain in 2017 as an intern. 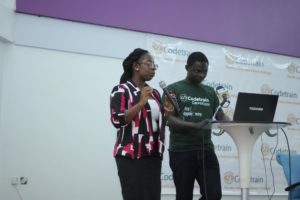 She helped in organizing the first Codetrain App Developer Bootcamp in July 2017 and joined the Gen 1 cohort Codetrain programme, trained as a front end developer. Rachel completed UENR with a Bachelor’s Degree in Information Technology and is currently the community manager for Codetrain. 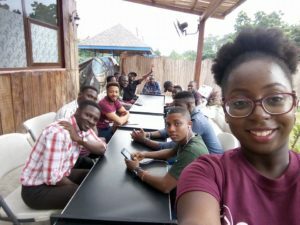 She is an ardent advocate about digital skills for young people, especially young women. Keep being awesome, Rachel!